Guba Publishing is an independent publishing house based out of Oakland, California making children’s picture books, flashcards and posters with a focus on fun and quirky illustrations, easy language learning (English & Bengali) and telling diverse stories. We launched in November 2017 and are growing our portfolio every year! She takes a deep breath…and jumps! At Guba Publishing, we make illustrated books and flashcards with diverse characters and stories. Our goal is to help kids learn about world cultures and different perspectives through engaging text and super fun illustrations. Guba Publishing’s debut picture book Tiny Jumps In is an empowering story of a determined girl who dreams of jumping into the lake by her house. And when she does, she discovers a strange and wondrous underwater world! Find out more here. 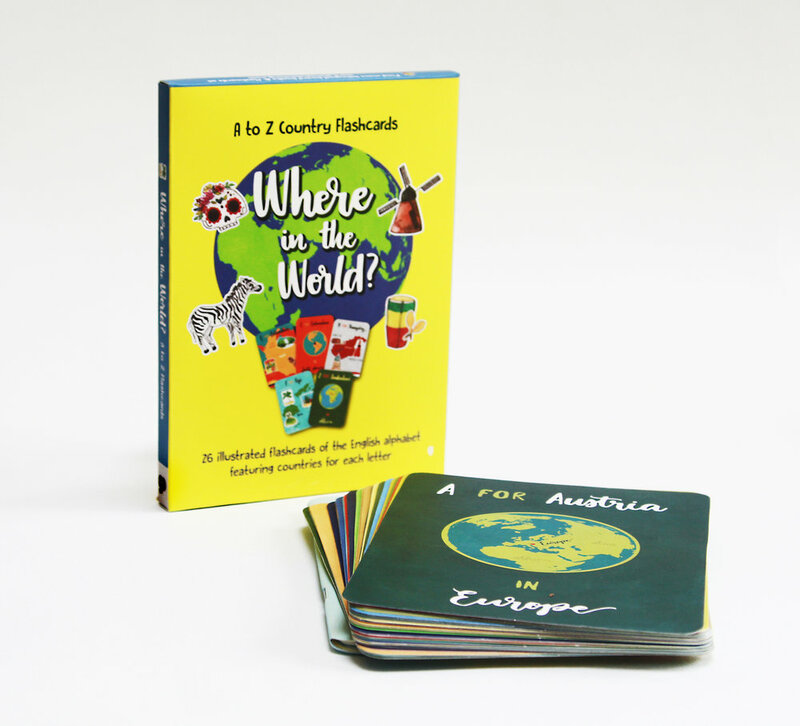 Perfect for little globe trotters or the aspiring global citizen! To get some culture in a box, check out Where in the World? A-Z Country Flashcards for a glimpse into the unique characteristics of 26 different places around the world. Transliteration helps people pronounce words in foreign languages. Guba Publishing publishes Bengali bilingual books, flashcards and posters with English transliterations for easy language learning. We are working on expanding our portfolio of titles in 2019. Stay tuned by signing up to our email newsletter below. But for now, browse our online store to see what you like from our current selection. “Kutupalong refugee camp at night time” from Rohingya story book project with Save the Children. Guba Publishing strives to be a platform for advocating social justice through children’s storytelling. We create children’s picture books in collaboration with cause driven non-profit organizations to raise both awareness of and funds for specific causes. Learn more about our pilot project with aid agency Save the Children on our fundraisers page. If you are an individual or organization wishing to raise awareness for a cause through children’s illustrated storytelling, contact Raya and Inshra at info@gubapublishing.com to learn more about collaborations with Guba Publishing. Sign up with your email address to receive updates on new releases, deals and discounts. Thank you for joining the Guba community!